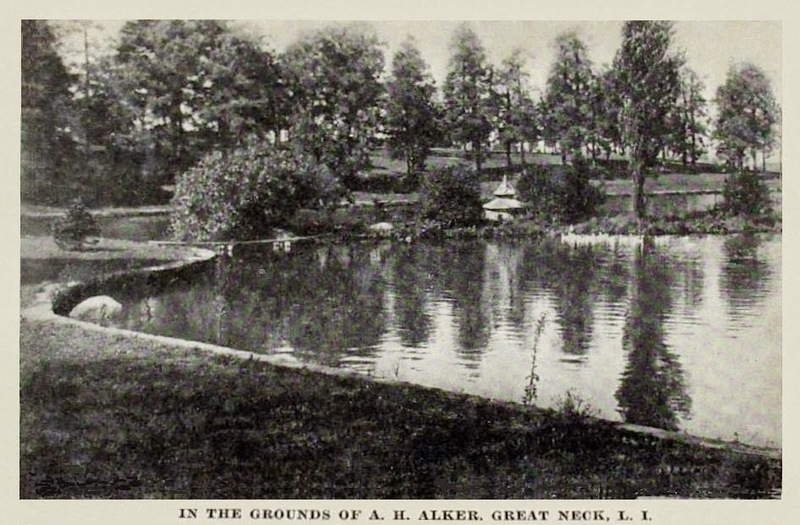 On the grounds of 'Idlewilde', the Adolph Henry Alker estate in Great Neck. Click HERE for more on 'Idlewilde' which has since been demolished. Very off topic (sorry Zach!) but Rachel 'Bunny' Mellon's lovely Upperville, Virginia estate came on the market. Talk about a throwback to another era with the architects involved, size and scope of the property - price tag too. A sylvan setting ~ appropriate for the ducks seen at the far side of the pond, to the right of their bank-side shelter.